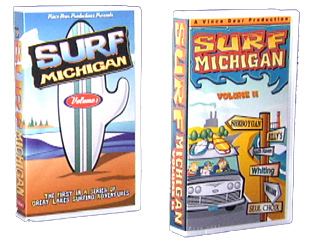 Two in a series of Great Lakes surfing videos by Vince Deur Productions. Each sold separately. Music by Milk House, Wireless Green, Ruth's Hat, Third Coast Band, Knee Deep Shag and Voda.